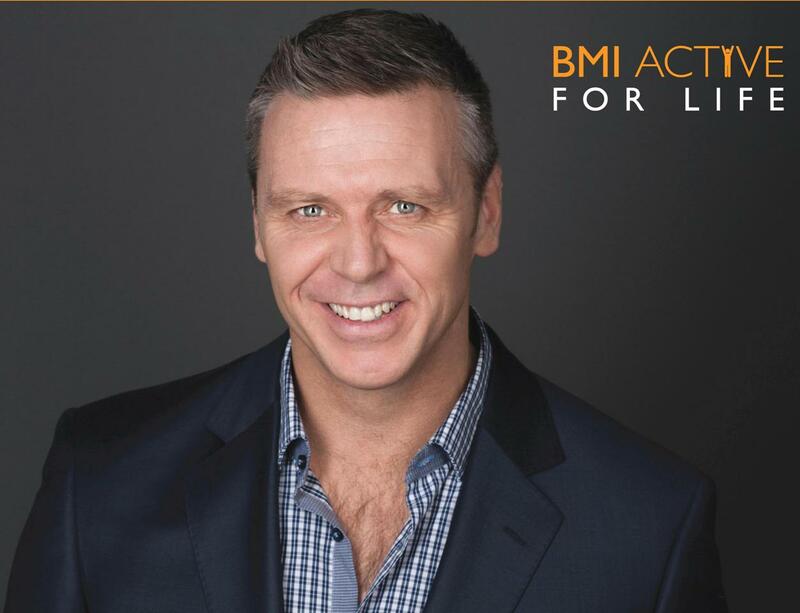 Steve Backley OBE, the former Olympian and javelin world record holder, has joined forces with BMI Healthcare in London to support BMI The King's Oak and Cavell Hospital’s Active for Life campaign. Looking after your bones and joints takes a lifetime of dedication and BMI Active for Life aims to raise awareness around bone and joint health to help people keep flexible, active and doing the things they love. Research from the National Joint Registry has shown that the number of knee replacements performed in the UK increased by 7.3% while the number of hip replacement procedures, during the same period, increased 7.5%i. The main indication for surgery in the majority of these cases (92% for hip replacements and 98% for knee replacementsii) was osteoarthritis, a condition that affects the joints. Osteoarthritis, the most common form of arthritis in the UK, was also the main leading cause for ankle replacement procedures (83%) and shoulder replacement procedures (61%). It is estimated that around 1 millioniii people each year visit their GP for this condition. Steve Backley is supporting the BMI Active for Life campaign to raise awareness around the growing number of people each year who are having knee, hip and other joint replacement procedures. Steve underwent a hip replacement back in 2005, and knows all too well the pain that patients can go through before surgery, "My need for a hip replacement left me in pain and reduced my mobility. But, my hip replacement has completely transformed my life, giving me back both my freedom and mobility. I'm supporting BMI Active for Life to highlight the importance of bone and joint health to hopefully help more people lead an active life to reduce their risk of needing joint replacement surgery as they age." "Osteoarthritis affects different people in different ways. The main characteristics of the disease are mild inflammation of the tissues in and around the joints, damaged cartilage and bony growths that develop around the edge of the joints," Commented Consultant Orthopaedic Surgeon Mr Joyti Saksena at BMI The King's Oak and Cavell Hospitals. "This can lead to pain, stiffness and difficulty doing certain activities. While it is not always possible to prevent osteoarthritis you can take steps to help minimise your risk of developing it by staying healthy, looking after your weight, avoiding injury and keeping your bones and joints as healthy as possible." Mr Saksena and his team at BMI The King's Oak and Cavell Hospitals have put together a guide on how Enfield residents can maintain their bone and joint health at any age. As part of the campaign an advice line has been set up for people suffering from joint pain, or in need of an orthopaedic replacement procedure. You can get in contact with us by calling: 0808 101 0373 for advice. "Bone health and joint health is something that we can all take for granted. While arthritis is never completely preventable we hope that this campaign, with the support of Steve Backley will help educate people to the steps they can make to alleviate their risk and keep them active and mobile well into retirement," commented David Henderson Executive Director at BMI The King's Oak and Cavell Hospitals. "Hip, knee and all forms of replacement surgery are extremely effective and can transform a patient's quality of life but as with many things prevention is always better than cure. We hope that the BMI Active for Life campaign will help raise awareness around the issues surrounding bone and joint health."